At Pancreatic Cancer Action (PCA) we are committed to improving survival rates through early diagnosis of pancreatic cancer. We lobby to increase awareness of pancreatic cancer and stress the importance of making early diagnosis a priority. At PCA we work to engage MPs and Ministers in Westminster and Ministers, Parliamentarians and Assembly Members of the devolved administrations in Scotland, Wales and Northern Ireland. The All Party Parliamentary Group on Pancreatic Cancer (APPG PC) is an interest group of parliamentarians from across the political parties and from both the Houses of Commons and Lords. Pancreatic Cancer Action is one of the APPG PC stakeholders and through this group we aim to raise the profile of pancreatic cancer within Parliament; to raise the issues of relevance with government and policy makers and influence policy and improve life for pancreatic cancer patients and survivors. 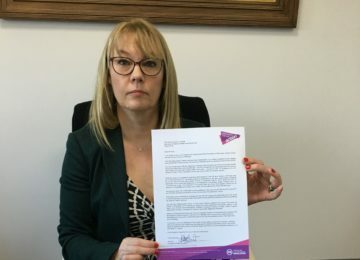 After hearing the news that nine in ten patients who are diagnosed with pancreatic cancer as an emergency presentation will be dead within a year, we wrote a letter to the Health Minister, Jeremy Hunt, to ask this issue to be addressed as a matter of urgency. You can read about Ali’s letter and all our other campaigning initiatives including: demonstrations, campaigning for access to drugs, our inequality report and parliamentary debate, here.